Fossils of an animal that lived 558 million years ago — the oldest animal ever discovered — shed light on the shapes early life took on Earth. An international team of researchers, led by members from The Australian National University (ANU), has made a stunning discovery: the team identified intact fat molecules in a fossil of the oldest animal discovered to date. The animal, called Dickinsonia, could grow up to 1.4 meters in length, being formed of rib-like segments. The discovery yields an unprecedented view into the Ediacaran Biota, the first complex multicellular organisms known to have spawned on Earth. The findings help piece together our own evolutionary history as the Ediacaran lifeforms are the forefathers of each and every animal on the planet today. 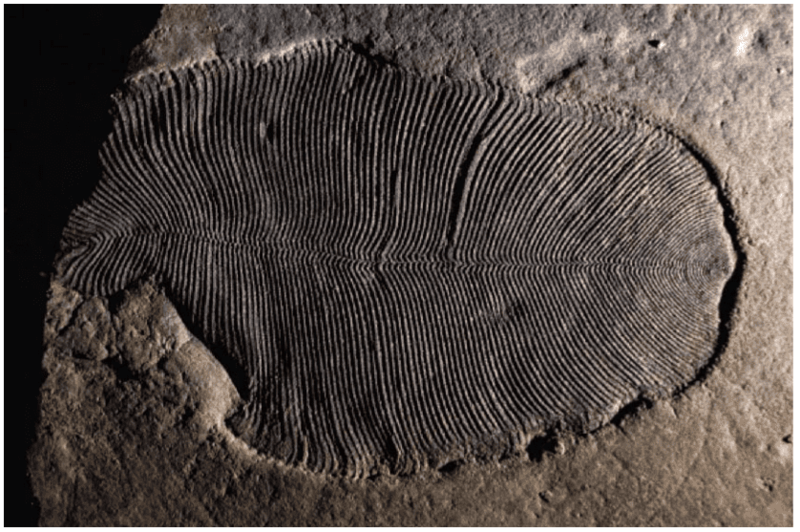 The Ediacaran Biota developed roughly 20 million years prior to the Cambrian explosion, a period of rapid evolution of animals in a greater number of species of more complexity than ever before. This period sees complex, multicellular organisms such as mollusks, worms, arthropods, and sponges start to dominate the fossil record — and laid the groundwork for life as we know it today. Viewed in that light, the Ediacaran Biota is the evolutionary touchstone that made further diversification possible. As such, it is the ancestor of all the animals that ever walked, swam, or flew upon the face of the Earth. The team’s findings are a paleontologists’ holy grail — they discovered a Dickinsonia fossil so well preserved in a remote area near the White Sea in the northwest of Russia that the tissue still contained molecules of cholesterol, a type of fat that is the hallmark of animal life. “The fossil fat molecules that we’ve found prove that animals were large and abundant 558 million years ago, millions of years earlier than previously thought,” said Jochen Brocks, paper co-author and Associate Professor at the ANU Research School of Earth Sciences. 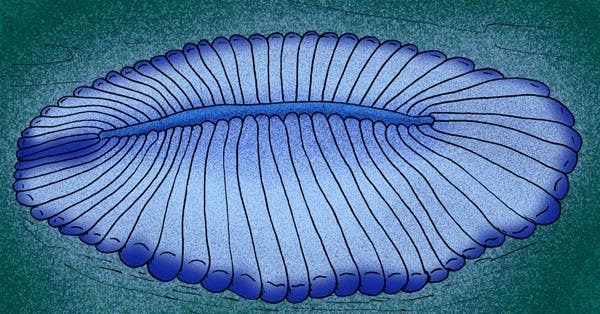 Artist’s rendition of Dickinsonia costata. Image via Wikimedia. While paleontology usually looks at the structure of fossils, the team wanted to look at organic matter in the case of Dickinsonia, not just its imprint. This is because the species forms the bridge between ‘old’ biology (which was dominated by bacteria), and the first complex animals. Macrofossils from the Ediacaran are “‘as strange as life on another planet’ and have evaded taxonomic classification, with interpretations ranging from marine animals or giant single-celled protists to terrestrial lichens,” the paper explains. Without a look at their biochemistry, we simply couldn’t know for sure if they were animals or something else. The main challenge was finding Dickinsonia fossils that still retained organic matter, the team reports. Bobrovskiy traveled to a remote area near the White Sea in the northwest of Russia — a region known for Ediacaran-biota-bearing rocks — to find the fossil the team needed. The Dickinsonia fossil was recovered near the Lyamtsa locality, while a second fossil species used in the study (Andiva) was recovered near Zimnie Gory. “I took a helicopter to reach this very remote part of the world — home to bears and mosquitoes — where I could find Dickinsonia fossils with organic matter still intact,” he recounts. The fossils were recovered from rocky outcrops along the White Sea. The cliffs themselves are “60 to 100 meters high” (196 to 328 feet) high, Bobrovskiy explains, which he had to scale in order to investigate. Chemical analysis of the Dickinsonia specimen revealed a “striking abundance of cholesteroids” and a marked difference in several key chemical markers that differentiate the organism from background microbial activity. By contrast, “biomarker signatures of Andiva specimens from the Zimnie Gory locality are less well differentiated from the microbial mat background signal and do not display a clear elevation of cholesteroids relative to the background,” the authors explain. Further chemical analysis and comparison “firmly place dickinsoniids within the animal kingdom, establishing Dickinsonia as the oldest confirmed macroscopic animals in the fossil record (558 million years ago) next to marginally younger Kimberella from Zimnie Gory (555 million years ago),” the paper concludes. The paper “Ancient steroids establish the Ediacaran fossil Dickinsonia as one of the earliest animals” was published in the journal Science.